Apache Tomcat 7 is a popular server for running Java applications – but say you have a unique instance where you want to run both PHP and Java applications on Tomcat but don’t want to run two separate servers (i.e. 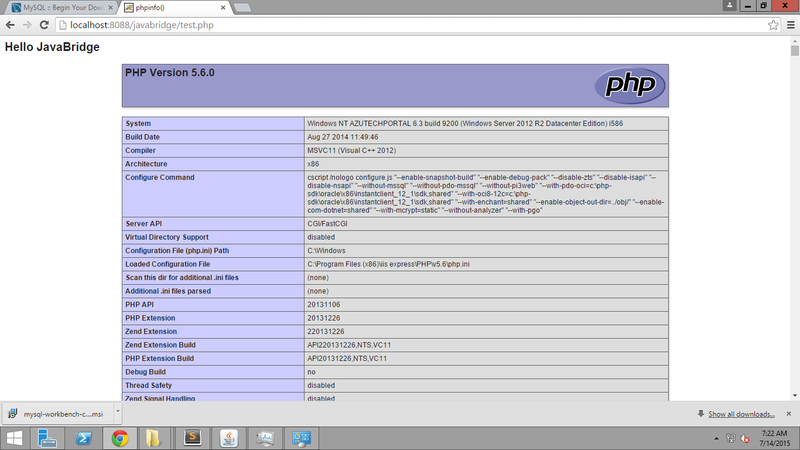 Apache HTTPD + Tomcat) to achieve it? PLEASE NOTE THAT THIS METHOD DOES NOT WORK ON TOMCAT 8 AS OF THE DATE OF WRITING. For this we’re going to use the PHP – Java Bridge for Tomcat, which is a handy little package that will sort out PHP execution on top of Tomcat. The first step is to download the Javabridge template from this link at SourceForge. This will give you a WAR file that you can directly drop in to your Tomcat server’s webapps folder. 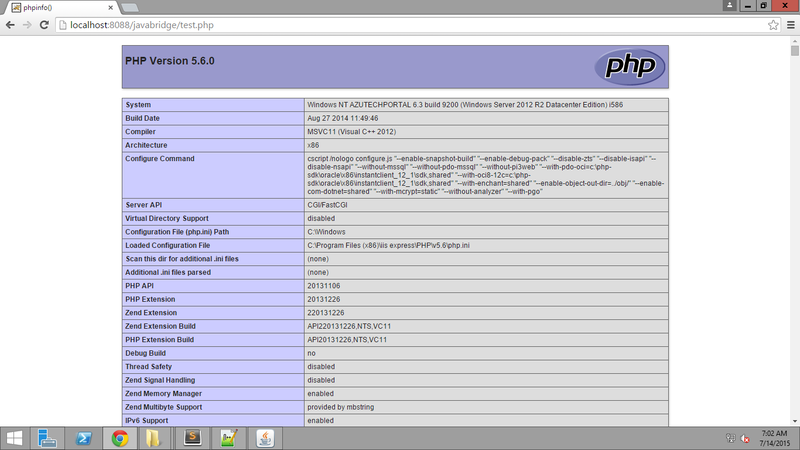 For Linux users, just install php5 using apt-get, yum, or your preferred package management tool. Next step is to add PHP to the PATH variable. 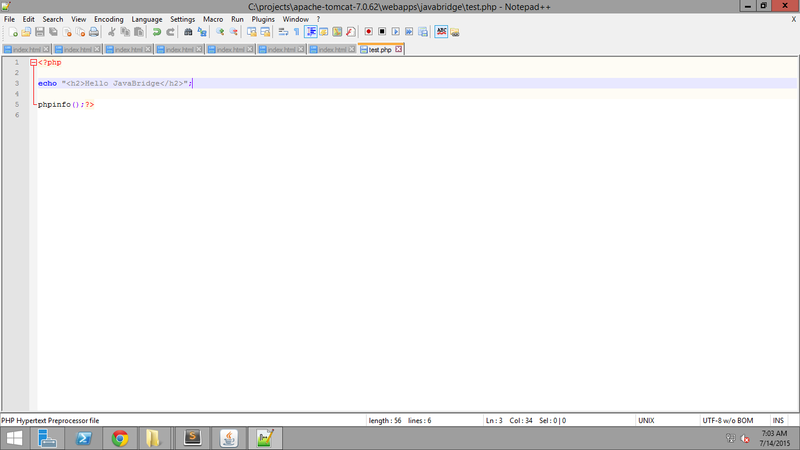 Append the path to your PHP folder to the end of your respective PATH variable. Next, drop the JavaBridgeTemplate61.war file in to your Tomcat server’s webapps folder and start Tomcat. Now you can deploy any PHP application within the JavaBridgeTemplate folder and rename the folder to whatever you want. 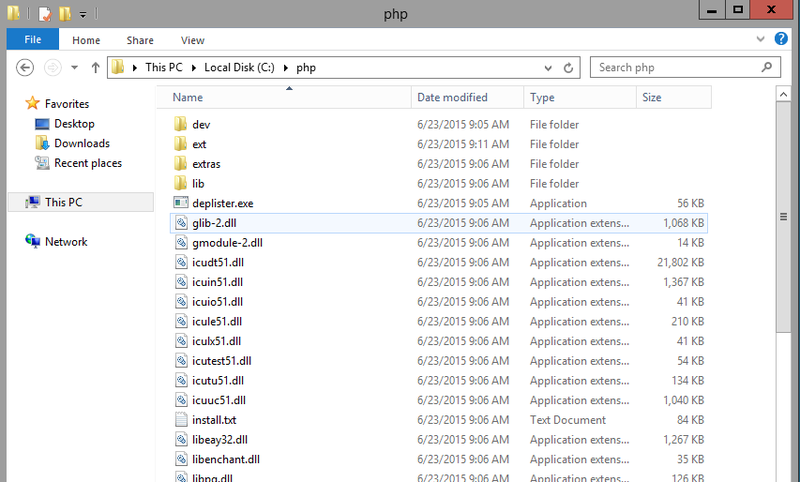 You can add many folders like this for different PHP applications. 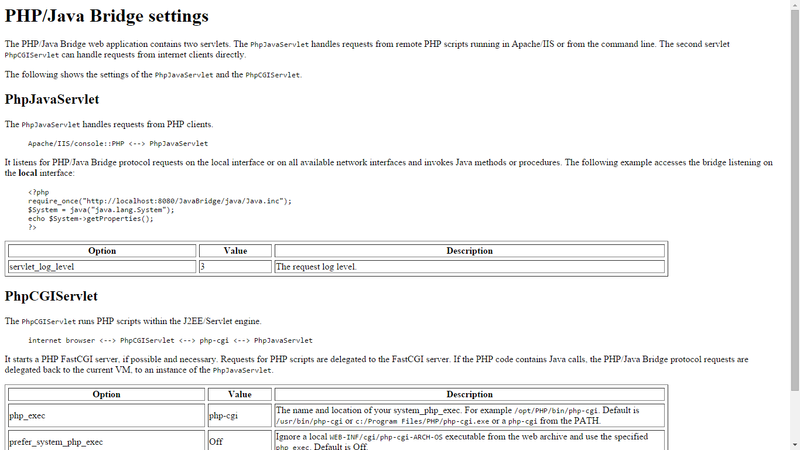 Note that the JavaBridge runs PHP as CGI. If you want to enable/disable specific PHP extensions you can simply enable them as you would do normally on your php.ini file.